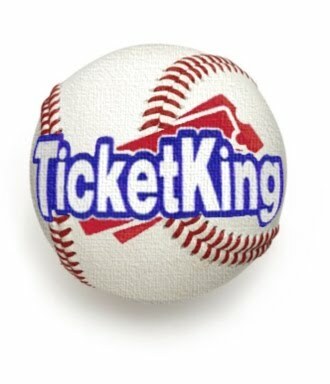 Ticket King Milwaukee Wisconsin: Brewers Chances of Staying Hot in 2018 | Ticket King Inc. Brewers Chances of Staying Hot in 2018 | Ticket King Inc. The Milwaukee Brewers are continuing their trek through the 2018 season, and currently, sit at 55-38, which gives them the best record in the National League. Let’s examine their recent play. There is not a hotter player in baseball right now than Jesus Aguilar and he has literally come flying out of nowhere. During the last month of the season, Aguilar has been smoking hot. To this point in the season, Aguilar carries a .307 batting average, 23 home runs which is tied for the National League lead with Nolan Arenado of the Rockies, and 67 RBI’s which puts him second behind only Eugenio Suarez of the Reds. Aguilar is a definite MVP candidate at this point the season and is the main reason behind the Brewers recent success. Will he win the MVP award? Maybe not, but he is a serious candidate. This is a loaded year for both leagues for MVP candidates. Aguilar, Matt Kemp, Bryce Harper, Paul Goldschmidt, Javier Baez, Nolan Arenado, Nick Markakis and Freddie Freeman are all National League MVP candidates. For the American League, Mookie Betts, J.D. Martinez, Jose Altuve, Jean Segura, Mike Trout, Fransisco Lindor, Aaron Judge, Jose Ramirez and Mitch Haniger are all MVP candidates. After spending three years with Indians sitting on their bench, Aguilar came to the Brewers after being claimed off waivers in January of 2017. After an okay season in 2017, Aguilar has exploded this year. So what happened? Recently Harold Reynolds of MLB Network did an extended profile on Aguilar on how he has studied his swing and made changes that have turned him from a guy who looks the part of a bigtime Major League hitter to a guy who really his a bigtime Major League hitter. Aguilar was award today by winning the final vote to get into the 2018 Major League All-Star game. He will also participate in the home run derby. This Brewers roster has been good so far, and David Stearns is looking to make them even better at the deadline. The rumors are that Stearns has put in a potential offer to the Baltimore Orioles for third baseman/shortstop Manny Machado. The deal reportedly includes Keon Broxton, Corbin Burnes, and several unnamed prospects. I am not sure this is a bright idea for the Brewers. They don’t need a big hitter, and there is no way Machado signs with Milwaukee this offseason. The Brewers need starting pitching, and Jacob DeGrom is a more likely big target.